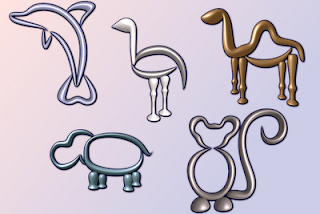 More animals in my virtual Zoo. Icons of hippo, monkey, camel, dolphin and ostrich. You can look at first part of Glass Zoo. I am looking for inspiration for next part of ZOO. If you have some idea or a favourite animal, which you don't find here, leave comment and I try to make icons by your request.